Il Piaggione di Serravalle is a unique farm of its kind. With an uninterrupted activity for thirty years, he proposes himself in the chaos of everyday modern society, as an enlightened example of eco-compatibility, showing a devoted respect for his mother nature, from which he draws his fortunes. It is a company that is alive with family stories and human relationships, in step with the times to improve excellence in the quality of services, discreet in maintaining the authenticity of the ancient traditions of the territory unchanged. Camilla is a tourist guide authorized for 30 years and operating on the territory of Siena and the Province. He assumes the reins of the company joined by her husband after the death of his mother, demonstrating his tenacious adequacy to the role, despite the delicate moment, through the implementation of a project of substantial changes at the agricultural and structural level. Decisions often difficult, but always dictated by a spirit of loving concern, long-sighted choices culminated over the years in this wonderful masterpiece. Camilla speaks correctly, in addition to Italian, also English, French and German. Its vast culture on the history of art and the territory, together with its fascinating savoir faire, will guarantee you unforgettable excursions to discover Siena and its treasures. 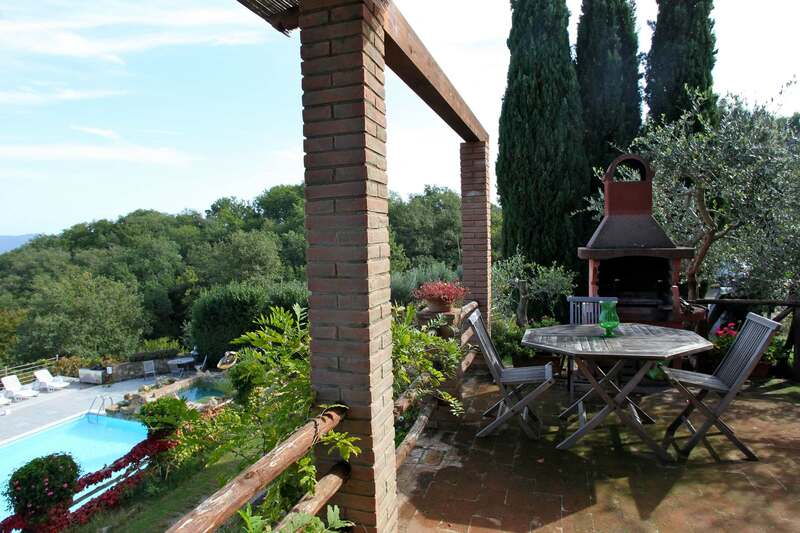 The passion for the true taste of local cuisine is exalted in its excellent preparation of typical dishes and traditional dishes, for unforgettable dinners to be enjoyed outdoors in front of a postcard view, among the aromatic notes of Chianti DOC wine of own production. Albert, instead, offers his own experience and skills in the arts, by offering sculpture and painting classes. 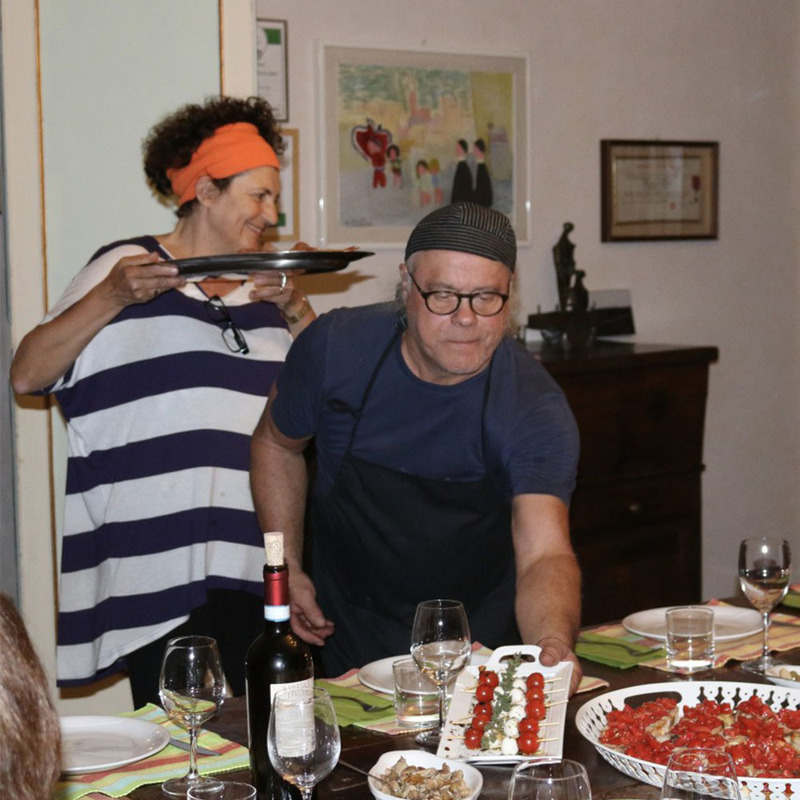 Among the various projects under construction, in the future Piaggione will be able to offer cooking classes as well as organizing educational strolls along the paths of the vegetable gardens. 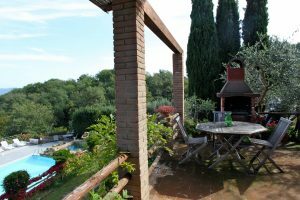 Also at a stones throw from Piaggione recently has been established a horseback riding center , with a full range of activities related to equestrian trekking through the ancient roads of the Chianti hills. 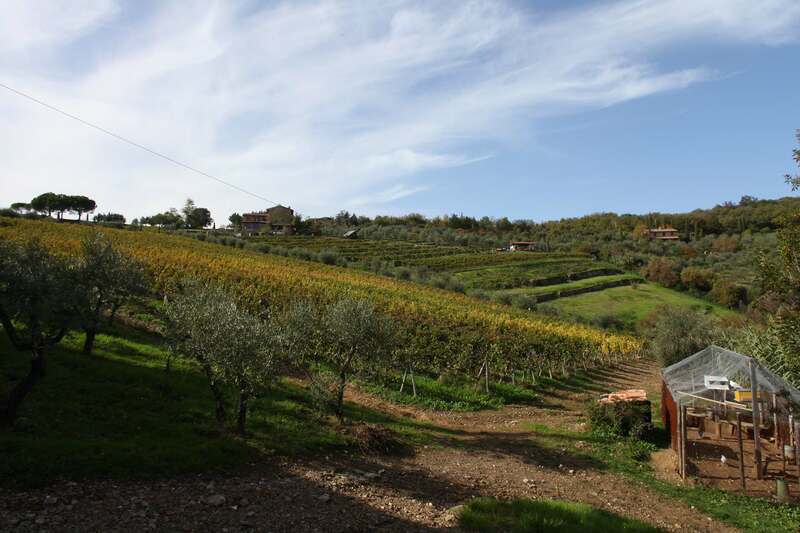 Chianti has always been a region with a predominantly agricultural vocation. 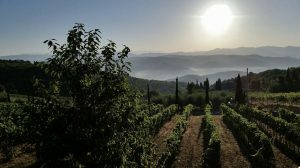 It was probably the Etruscans who introduced the cultivation of the vine: their undisputed agricultural prowess and their wise conception of life laid the foundations for the future populations of the region. News of Etruscan finds come from the whole area and, moreover, the clear Etruscan etymology of many toponyms shows us how the Etruscans have long lived in this area and have cleverly exploited the soil, creating stable settlements. 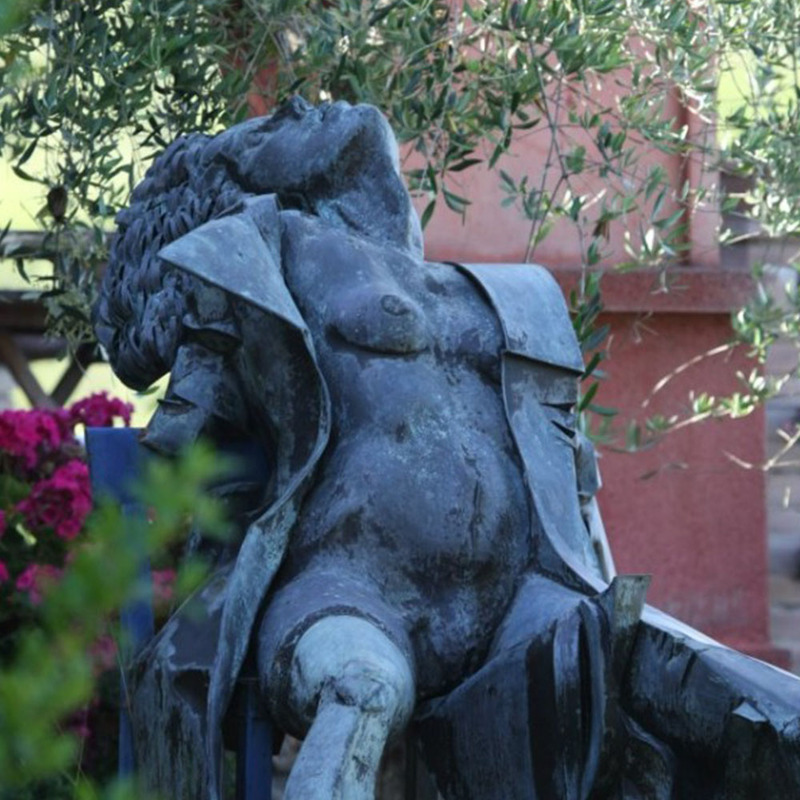 Among gardens, gardens and olive groves, regulated by the amiable art of pruning, wind their way along the hills so peacefully that they seem forgotten, where one proceeds among marvelous discoveries of things that are always the same and always unexpected. The passage to the Roman era is documented on the contrary with scarce findings: the only significant fact is the administrative division operated by the Romans between the municipalities of Fiesole, Arezzo and in the Augustan age of Siena. The Lombard period is known to us for the long disputes between the bishops of Siena and Arezzo for the partition of the territory: in 715 King Liutprando tried to resolve the dispute. In the early Middle Ages it is therefore possible to trace a summary division of the territory between the feudal lords and the religious of the great abbeys of Passignano, Montemurlo and Coltibuono, a balanced division between temporal and spiritual power.In the tenth century the Chianti appeared divided into various fiefs by the Marquises of Tuscany, which as imperial vicars had jurisdiction. The central power was at that time rather weak and only in the case of great personalities, like the Marquis Ugo, it was felt. Most of the time it was the lord of the place who ruled his fiefdom from his castle as an absolute sovereign. But we must not think of extreme situations: in the Middle Ages there were never, as during the Roman period, revolts of slaves and peasants. The fiefdom was organized as a closed system, a large family: the peasants had to give part of the harvest to the lord, but this offered him protection and protection in case of raids and assaults from the outside. In this period the region is dotted with a myriad of castles, mostly located on hills in militarily strategic positions. The families of the Longobard and Frankish nobility have often remained proprietary until today of great estates who, with a touch of snobbish pride, have never abandoned, devoting themselves to the care of the territory: deeply linked to their land, they often see themselves moving among the rows of their properties, more interested in wine than in worldly salons. In the dispute between Arezzo and Siena, in the twelfth century also included Florence, aware of its economic and political power in continuous ascent, did not see favorably the proximity of a dangerous rival such as Siena. Thus the Chianti became the battlefield between the two cities. 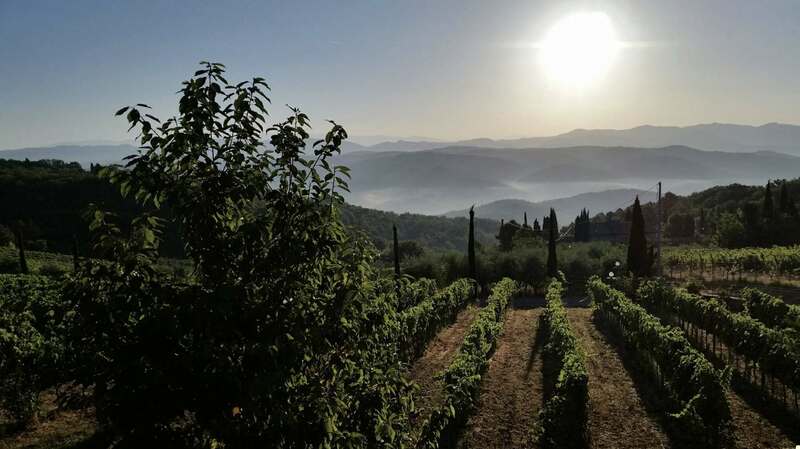 The struggle for the possession of Chianti can be said ended at the beginning of the thirteenth century: with the peace of Fonterutoli of 1201 and the Lodo di Poggibonsi of two years later, the Florentine Republic annexed all that territory which from now on will be called Chianti. The border between the two republics therefore remained for centuries very moved to the south and two fortified lines were created, a sort of iron curtain of the time: on the Florentine side it was made up of the castles of Brolio, Cacchiano, Monteluco, Montecastelli, Montemarchi , Rentennano and Tornano that faced each other with those of Siena, Aiola, Civitamura, Cerreto, Selvole and Sesta. In 1250, as part of the administrative reorganization of its territories, the Florentine Republic formed the League of Chianti, a sort of province, divided into three parts or Terzieri headed by Radda, Castellina and Gaiole. The Podestà resided in Radda. For a century, from the middle of the fifteenth century, Chianti was devastated by wars and invasions that involved all of Italy. On the peninsula two covenants had formed: on one side there were the Pope, Naples and the Visconti, on the other side Florence, Venice and the Sforza. Spurred on by the Sienese who saw nothing but an opportunity to harass Florence, the king of Naples, Alfonso of Aragon, entered Tuscany: if the first visit, in 1447, had not caused great worries, the second in 1452 was terrible. In the Chianti area the livestock were raided, the plundered crop, the best men killed or taken prisoner. In the following 25 years the Florentine Republic devoted itself completely to the reconstruction of its territory. In 1478 Siena again allied with the king of Naples to drive away the Medici from Florence: the army of Ferdinand of Aragon spread to Tuscany causing new destruction. In 1529 Charles V undertook to help Pope Clement VII to restore the Medici in Florence and besieged the city that had reorganized republican orders. Strait between the imperial army that was looted and raided and the hated Sienese, Chianti was completely prostrated. But in 1555 Florence was finally right to the hated rival: with the fall of the Sienese Republic and the affirmation of the strong and pacifying power of the Medici duchy throughout the Tuscan territory, a long period of peace and tranquility began for Chianti. Its inhabitants could finally devote themselves completely to the care and enhancement of their territory. 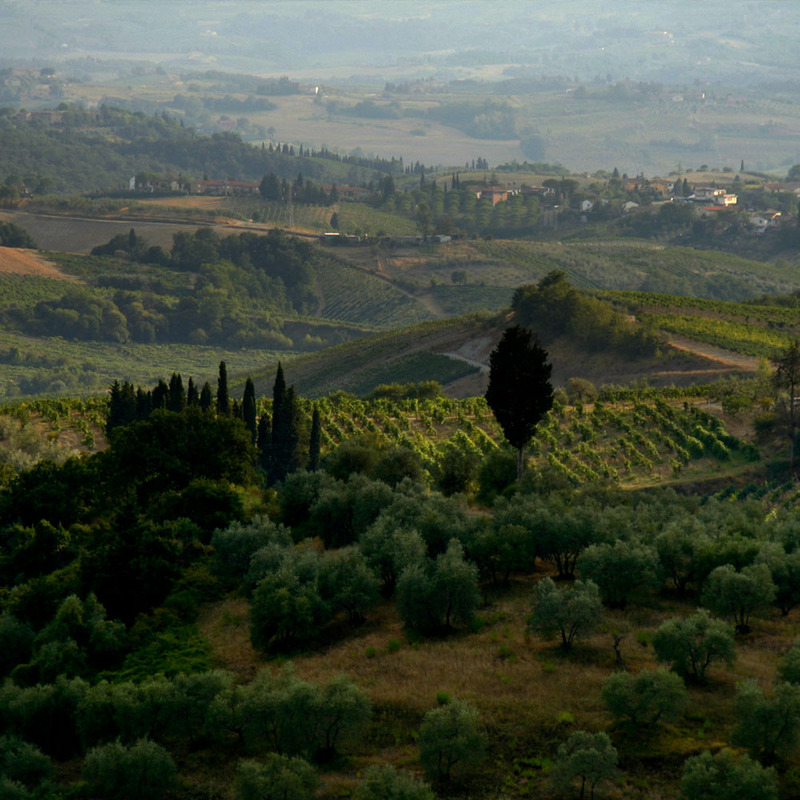 The Chianti gradually changed face: the castles lost their function and turned into large and elegant villas and farms. Agriculture developed completely: it is symptomatic that precisely from this period began to spread the fame of its most illustrious product. During the Medici and Lorraine Grand Duchy the sharecropping system marked social relations and rural landscape. In 1716 Cosimo III identified for the first time an area of wine production of particular value that, in addition to historical ones, also included the lands of Castelnuovo Berardenga, Barberino Valdelsa, Tavarnelle and San Casciano. The Lorraine Grand Dukes encouraged both the development of more modern agricultural techniques and the improvement of the conditions of the peasants, rewarding the farms that applied social solutions dictated by the Enlightenment ideas. 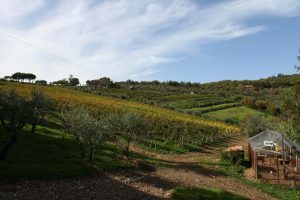 But it is in the second half of the twentieth century that the area is experiencing an extraordinary transformation: from the farm’s sharecropping system you quickly move to the organization of specialized and large vineyards, managed by modern companies that determine the international success of Chianti. The suggestions of modernity push thousands of peasants to move to the city and if the Chiantigiani countries are not depopulated it is only thanks to the arrival of southern immigrants. The old vines, the crops practiced at the time of sharecropping, disappear to give way to vineyards with geometrical rows arranged for mechanized agriculture. A parallel transformation also occurs for the farmhouses: lost their function as peasant houses, they become second homes or cottages or new homes for Italians and foreigners eager to escape the chaotic urban society to settle in one of the most beautiful Italian hill landscapes. British, German, Swiss and Dutch buy farmhouses sometimes in ruins, they restructure them with taste and refinement and establish themselves there. Slowly they begin to put their hand to the vineyards, so much so that today some of them have become producers of excellent quality wines. Hence the joking appellation of Chiantishire for an area where foreigners have become the majority. A majority of aristocrats of the spirit, often intellectuals and artists, but also simple retirees from Frankfurt and Rotterdam who may have the pleasure of offering their friends and relatives a glass of their own wine, sitting down to admire a landscape still on a human scale.